Close to one million New Zealanders now have the ability to make NFC payments with the nationwide launch of Semble, a SIM-based mobile wallet introduced by two New Zealand banks, three carriers and payments network Paymark. 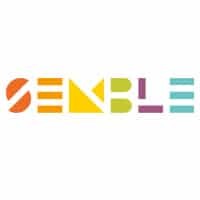 Semble was created in April 2012 as TSM NZ and rebranded with a consumer-friendly name in October 2014. The company is jointly owned by Paymark, 2degrees, Vodafone and Spark and has signed up New Zealand banks ASB and BNZ for the launch. ANZ New Zealand is taking the alternative approach of adding support for HCE to its mobile banking app, however, while Westpac has also tested HCE technology. To use the service, consumers need a compatible Android NFC phone and to request a Semble-ready SIM from their mobile network operator. They can then download the Semble app for their carrier from Google Play, add a profile, set a 5-digit PIN to protect access to their mobile wallet and add their payment cards. This is done by selecting their bank’s logo from within the app to connect to their bank’s internet banking platform and download eligible cards. Customers can then choose to protect each transaction with a PIN or select “always on” so that a payment can be charged to a default payment card whenever the phone is brought into close proximity with a contactless POS terminal, without the need to enter a security code. Both credit and debit cards can be loaded onto a Semble wallet and the company is also working with prepaid transit card provider Snapper to extend its reach beyond 2degrees to also include both Vodafone and Spark subscribers. The deal means that, starting June 2015, “Semble customers will be able to download a Snapper payment card into their Snapper wallet and use it throughout the Snapper network,” Snapper CEO Miki Szikszai says. Offers will also be available to wallet users in the future, Semble adds, and gourmet burger brand BurgerFuel will be working with Semble in April to trial a service that lets consumers store offers in their Semble wallet and then redeem them at the point of sale. Details of other services are to be announced in the “coming months,” the company says. “Other mobile wallets have launched around the world, but Semble is the first to present a united front, with many industry leaders working together,” says CEO Rob Ellis. 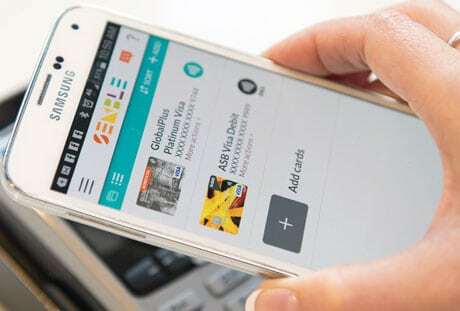 Semble’s mobile wallet is provided by MasterCard Mobile Transaction Solutions (MTS), the new name given to NFC pioneer C-SAM when it was acquired by MasterCard in 2014. Gemalto’s Allynis Trusted Service Hub is used to provide over-the-air provisioning of payment credentials to customers’ NFC devices.